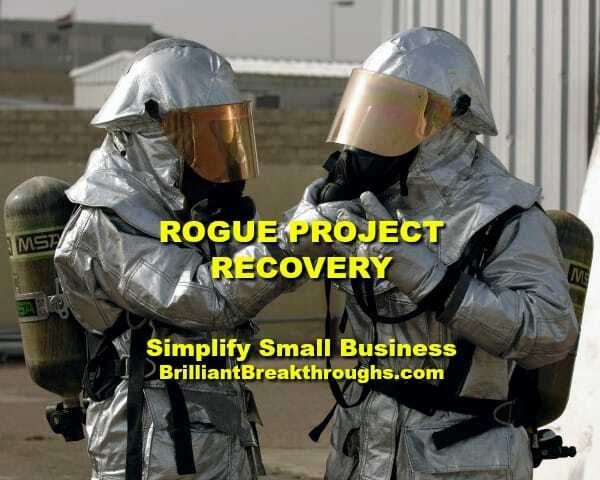 Rogue project recovery - what to do next - Brilliant Breakthroughs, Inc. Rogue Project gone awry? Now what? Rogue project – have you had one lately? I sure have and it was a jolt! I know we all have projects that create rumblings, like tremors. That’s not what I’m talking about here. I’m talking about a 8.6 on the Richter Scale. That’s a whopper of a shake up! When a rogue project becomes a whopper, it always seems to come out of nowhere, doesn’t it? I don’t hear anyone say they expect a rogue project upheaval, do you? So the real question becomes: Now that you identified you have a rogue project, what are you going to do? Perhaps you think you should react, or should you? Should you do nothing? Yes, each of these may be the right answer for a specific set of circumstances. They could also be inappropriate. Each project has it’s own unique set of circumstances that one answer truly doesn’t fit all. What makes a rogue project could be one set of issues. How many people are involved, and who they are, could be another set of issues. Since no two people are the same, chances are no two rogue projects are the same! Recently I heard someone speaking about corporate mergers. They shared how there’s usually a quiet period once the initial shake up has occurred. Sometimes that’s a good way to recalibrate when your project goes sideways. There are times when you may not know how to handle a full recovery; however, if you slow down and assess what you do know and choose to step into action on those tasks, you’ll make great progress. Once you slow down, you’ll be able to have better mental clarity and proceed with action to secure the greatest possible success. Slowing down and deep breathing are essential for your physical, mental, and emotional well-being. I assure you things will improve. I’m curious? What are ways that you move through major setbacks? Feel free to share in the comments section so we all can win! p.s. 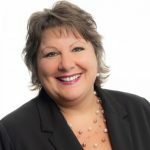 : If you’re in the Milwaukee area on Friday, September 29th, please join Wisconsin Business Owners Group for a great Lunch and Learn. Copyright: This article is copyrighted by Brilliant Breakthroughs, Inc. The internet is about sharing. Please share this post in its entirety with full attribution to www.BrilliantBreakthroughs.com. Thank you.